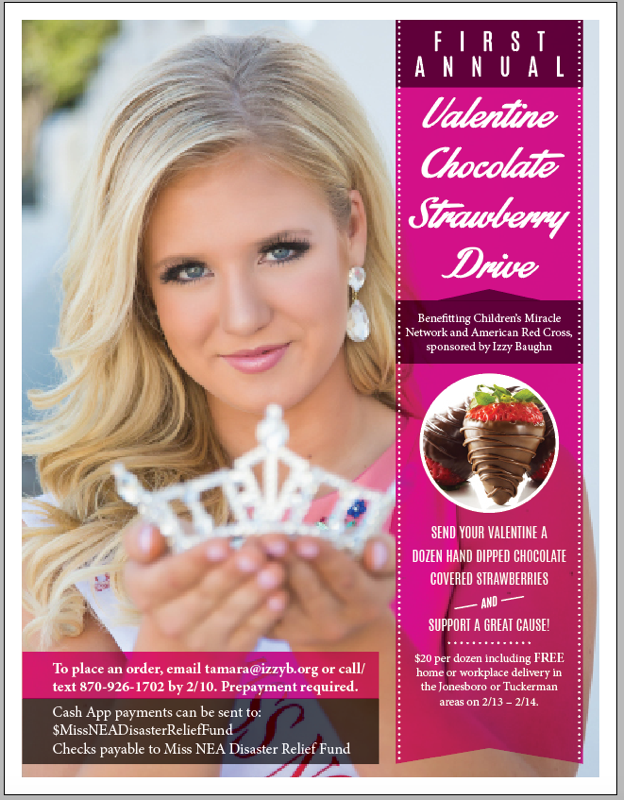 Our First Annual Valentine Chocolate Strawberry Drive is going on now through February 10, 2017! We are selling a dozen hand dipped chocolate covered strawberries for $20, with free delivery included. Proceeds benefit the American Red Cross and Children’s Miracle Network. Contact Tamara to order yours today: tamara@izzyb.org / 870.926.1702. All orders must be placed and paid for by 2/10. In town deliveries in Jonesboro/Tuckerman on 2/13 and 2/14.